Reiki was rediscovered and revived during the Meiji era in Japan, in the middle of the 19th Century by Dr. Mikao Usui. The story of Usui's search for the secret knowledge has been told many times by Grand Master Hawayo Takata (1900-1980). Takata tells us that Usui was the Principal of Dorisha University, a Christian seminary in Kyoto, Japan. When his students asked him if he believed in the literal truth of the Bible, he answered, "Yes." They then asked why they had not been taught anything of the healing method used by Jesus, and asked Usui to demonstrate it for them, but he was unable to do so. It was at that time that he decided to relinquish his position as Principal of the seminary and he resolved to find the answers to questions asked by his students. He left Japan to study in a Christian country. Later writers have disputed many of Takata's claims labeling Usui as a Christian, and some have stated that their own investigations showed no record of his having been involved with the Kyoto seminary. William Lee Rand, of the Reiki Institute, says his investigations show that Usui was never connected with Dorisha, whether as a student, teacher or administrator. It is possible that Takata made these claims out of necessity, since she brought Reiki to the United States shortly after World War II. Those of Japanese ancestry were not looked upon with the greatest favor at this time, and by claiming a "Christian" background for Usui could have made his teachings considerably more palatable to the American public. In any case, we owe a great deal of thanks to Madame Takata for bringing Reiki to the United States, all the more so since most of the practicing Reiki Masters in Japan died in the war. Reiki is healing energy that is transmitted through the hands of a channel who has been keyed-in (connected more directly to the source through an initiation process.) Reiki energy comes from the Creator. The channel giving the energy is simply a conduit allowing the light to pass through him or her into the receptor. The one serving as channel of the energy (the practitioner) is not working with his or her own energy, and thus experiences little or no energy drain. I say little or no drain, because of the habits of some channels of allowing the self to get in the way. In such instances the energy disconnects, and the channel can experience what is termed an empathic drain. Thus, the mind of the channel should remain null and void of the physiological/mental attitude and condition of the recipient. A person who receives Reiki is simply made better. One does not have to be sick or in a negative aspect of mind to benefit from Reiki channeling. A normal Reiki channeling session lasts about one hour, or in severe or extreme cases the session could last longer. The recipient takes off his or her shoes and lies down upon a massage table or a table equipped with a Master Frequency Unit. At times a chair, couch or bed could be used. However, a table provided for the specific purposes of performing Reiki usually works best. The Reiki channel then sits (or stands) at the left side of the receiver and places his hands across the lower section of the rib cage, with no pressure and no manipulation. The hands stay in the one place until the area being treated stops drawing the energy. The Light Energy flow will adjust itself automatically to the needs of the recipient. If the area under the hands requires a lot of energy, the flow will be felt very strongly. If the requirement is small, the flow will be almost imperceptible. Some people feel Reiki as warmth or heat energy, others feel a tingling, electric sensation, and some feel nothing a all. If they feel nothing, this does not mean that they are not receiving Reiki, only that their particular sensitivity level may not be quite as ill tense as some others. People who are treated on a Master Frequency Table will be light-headed for a time after the treatment, so it is best to not let anyone rise too soon from the table. Even if a table is not used, it is best not to let anyone rise too soon. Help them up and make sure that they are not dizzy before they stand. 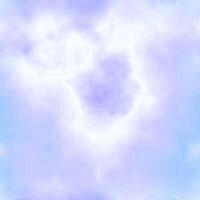 Reiki Channels are people from all walks of life, all races and all occupations who have received attunements, resulting in energy intensification keys, from a qualified Reiki Master. Those who go on to learn to share and teach the system have been said by some to be "predestined to purify the planet." While this may be over-dramatic, there is no question that teaching Reiki to others improves the lives both of the students and of those to whom they pass on the healing energies of Reiki. The more Reiki is used, the more powerful the flow of energy becomes. Reiki consists of the same Universal Life Energy that makes flowers grow and birds fly on the wing. It is the cohesive force of the cosmos. Reiki will also heal the ailments of all animals. Another way to look at it would be the fact that animals cannot be cured or healed by any psychological trickery. Animals know nothing of faith healing or religious belief systems. Animals are innocent, and are of pure love. When using Reiki upon an animal, you will notice they get quiet, and something within them seems to let go and relax. Reiki literally flows into animals exactly as it does people. When treating domestic animals, lay your hands behind the ears at the point where dogs and cats like to be stroked. After this initial contact, then proceed to the afflicted areas of the animals body. It is as easy as that. If you want to treat fish you must place the aquarium between your hands and let the energy channel through for 15 to 20 minutes. It is as simple as can be, yet effective. When you start channeling Reiki into plants you will be impressed by the positive results you get, such as strong healthy growth and a profusion of buds and blossoms. To empower seeds with Reiki, hold your hands a few inches above them, much as though you were blessing them. In one sense of the word, this is exactly what you are doing. You can hold seeds in your left hand and give them Reiki with the right hand. Cut flowers standing in a vase may also be kept stronger and healthier with Reiki. Potted plants are best treated through the root system. You do this by holding the pot between your hands near the bottom. Trees can be given Reiki also. Trees take Reiki in through the trunk. You can even hug the tree and tell it how much you love it while you are channeling the Reiki. Trees also reciprocate energy-wise. As you give, so shall you receive. If you have attained Second Degree Reiki, you will have symbols that enable you to make use of absentee healing and a mental method to use upon plants with equal success. The only practical way to send healing to a wooded area or herd of animals would be through the use of the Absentee Healing Symbol and the Power Symbol. There is a plane of energy-consciousness where plants are able to express their gratitude for your channeling. Be aware of this other type plane consciousness factor, and open yourself up to it. Even upon the higher planes there can be an exchange of energy. There are many planes of consciousness with which to work. So give it all you have. You can turn presents or gifts into power exchanges by treating them with Reiki before giving the gift. This can be used on any gift, but some are better suited as carriers of energy than others. For example, a Rose Quartz heart can be ideally suited as a gift for one in need of healing. Quartz crystals are powerful carriers, manipulators, and producers of energy. Rose pink is a color traditionally associated with pure, unconditional love. And a heart is another symbol of love. Thus, this gift carries not only the energy given it by the Reiki practitioner, but also has its own inherent visual love symbolism as well. Other crystals can be used as well. A number of books have been written on the uses of crystals in healing. Reading these can be of help. Whatever crystal is being chosen, however, should not be a snap decision. Become familiar with as many sources of crystals in your area as possible, knowing what types the various sources have to offer. Even crystals obtained through mail order can be useful, but a preferable approach is to visit a shop where a number of crystals of the desired type may be obtained. Examine as many crystals as possible, holding them individually in your non-dominant hand. (For right-handed persons, for example, the left hand is a better receiver of energy while the right hand is a better transmitter.) Often, just a visual examination of several crystals will be enough to narrow down the number to a few possibilities, but the final choice should be made with the eyes closed, just allowing the crystal's energy field to interact with your own, so that you can feel the one with which you have the closest affinity. Once the selection is made, the crystal needs to be cleansed and charged. There are two basic methods for this process, one relatively lengthy, the other, while slightly less effective, substantially quicker. The urgency of the recipient's need for healing should determine which method is to be used. The preferable method is to take the crystal home, cover it with sea salt for at least 24 hours, and then expose it to sunlight for several hours. This process will cleanse and purify the crystal, clearing it of any negativity it may have been exposed to prior to its selection. Next, it should be placed in a safe place where it may be exposed to the light of a full moon. This will help to charge the stone. Remember that sunlight cleanses, moonlight charges! While this might be an ideal method for preparing a crystal for use as a focus of Reiki energy, it is obviously not practical if the person in need of healing energy is in critical condition in the hospital. A quick method of cleansing the crystal is simply to wash it in a solution of clean water (preferably Reiki-water) to which a little sea salt has been added. I really hope I was able to help you understand a little about Reiki and it's power to heal.